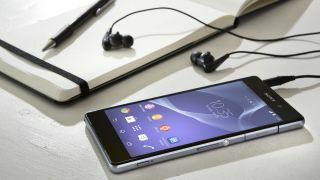 Sony plotting swift post-IFA release for Xperia Z3 and Compact companion? The rumoured Sony Xperia Z3 and Z3 Compact smartphones will be on shelves before the end of September, according to a new report. Now you'll have to bear with us a little bit here, but the tidbit of news comes from purported leaked details of a competition being held by Vodafone in Germany. OK, are you ready? Basically the network is said to be holding a raffle between July 1 and September 30. Two of the devices you can purchase in order to earn points for the raffle are the as-yet-unofficial Xperia Z3 and Z3 Compact. So, it stands to reason that those devices would have to be on sale, at least in Germany, by the last day in September, right? The smartphones are expected to be unveiled at the IFA tech show at the beginning of September, where Sony has traditionally launched its flagship mobile phones in recent years. Early leaks have pointed to a slight Qualcomm Snapdragon 801 processor bump for the full-size Z3, a 1080p display and a 7mm thick chassis, along with an upgrade to Android 4.4 KitKat. At this point, the Z3 Compact looks like it may be the winner with a more powerful 2.5GHz quad-core processor, a larger 4.5-inch display, 2GB of RAM and a 20.7-megapixel camera. The Xperia Z2 lacked a wow factor. Can the Z3 bring the razzle dazzle?